Rio Tinto (ASX:RIO) (LON:RIO) is a leader in finding, mining and processing the earth's mineral resources. The Group's worldwide operations supply essential minerals and metals that help to meet global needs and contribute to improvements in living standards. In order to deliver superior returns to shareholders over time, Rio Tinto takes a long term and responsible approach to the Group's business. We concentrate on the development of first class orebodies into large, long life and efficient operations, capable of sustaining competitive advantage through business cycles. 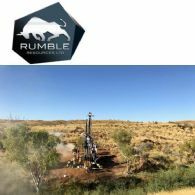 Major products include aluminium, copper, diamonds, energy products, gold, industrial minerals (borates, titanium dioxide, salt and talc), and iron ore.
Rumble Resources Ltd (ASX:RTR) is pleased to announce the results of a recently flown airborne magnetic survey conducted over the southeast portion of the Lamil Project, located in between the major mining operations of the Nifty Cu mine and the large Telfer Au-Cu mine within the Paterson Province, East Pilbara, Western Australia. In this issue: World steel output is showing strong growth again and equity markets break through resistance to reach new rally or all time highs. Non-OECD growth and robust US housing stats are good for the Resources Sector. 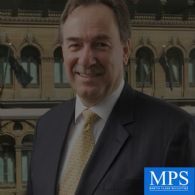 Read this latest Dawes Points to better understand the global forces that drive resources sector investment. 22nd World Aluminium Conference 2017: An End to the Global Surplus? 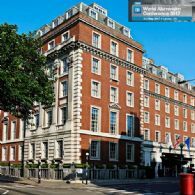 CRU&apos;s World Aluminium Conference 2017 takes place on 3-5 May 2017, in London, UK, where CRU&apos;s Assistant Chief Representative China Office & Head of Asia, Aluminum, Wan Ling, and Chalco&apos;s Executive Director & Senior Vice President, Lu Dongliang, will be discussing the likely outcomes of these regulations on the local and global markets. The CRU World Copper Conference is the leading conference for the copper supply chain exploring the economic drivers, and commercial and governmental strategies shaping current and future copper markets. Readers of ABN Newswire receive a 10% saving on the delegate fee. 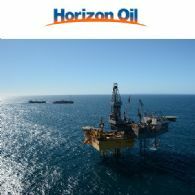 Horizon Oil Ltd (ASX:HZN) (OTCMKTS:HZNFF) is pleased to advise that Mr Greg Bittar has today been appointed as non-executive director of the Company. Now in its 22nd year, World Aluminium Conference regularly attracts over 200 delegates from around the world to discuss the key issues facing the industry. This year&apos;s conference will address sustainability in the aluminium sector, focusing on how environmental and economic strategies interact and the business opportunities created. 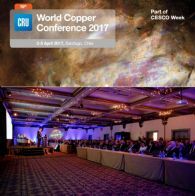 The World Copper Conference of CRU is consolidated in the calendar of the copper industry as a mandatory event. 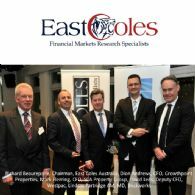 In it, the market leaders meet to discuss key issues that impact the industry. 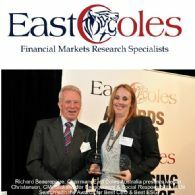 It is considered a flagship event held during CESCO Week Santiago.